This physics experiment uses light energy and motion to create an afterimage of a bird in a birdcage. This is a very simple light experiment that students of any age can use and enjoy! Follow the simple instructions below to perform this physics experiment. Begin by printing off enough copies of the image included with this lesson plan (below). When printed, you should have an image of a black bird next to an empty birdcage. Give each student a copy of the paper. Instruct students to take out a pencil. Instruct students to fold the paper in half so that the bird is on one side and the cage is on another side. Have students place their pencils in the center of the drawing between either side of the folded piece of paper. Tape the pencil onto the paper. Ask students to hold the pencil upright so that the image of the bird is standing upright. Ask students to spin the pencil in their hands. As the students spin the pencil in their hands it should appear as though there is a bird in the birdcage. Discuss the points listed below and feel free to add some of your own! What is it that interprets images seen by the eyes? Students may think it is the eyes, but the answer lies in the question. The brain interprets the images sent by the eyes. The eyes are simply tools to transfer images to the brain. Why does the bird appear to be inside of the birdcage? 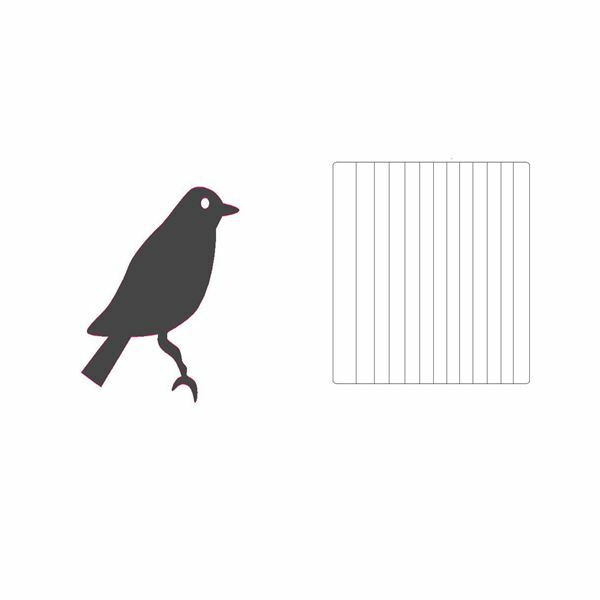 The brain combines images that appear in rapid order so that afterimages are created and in this case, the bird appears to be inside of the birdcage. This is known as light energy in motion. How is this concept applied in the world around you? Motion pictures are a wonderful example. As single pictures appear in rapid order, it appears that the images are moving, when in reality it is only the brain interpreting rapid images flowing together. Can this experiment be done using other objects? Of course! Encourage students to come up with their own images to create this same effect. Some suggestions to use are as follows; a dolphin on one side and “water” on the other, an image of a partially open egg on one side and a baby chick on the other.